Hello friends. 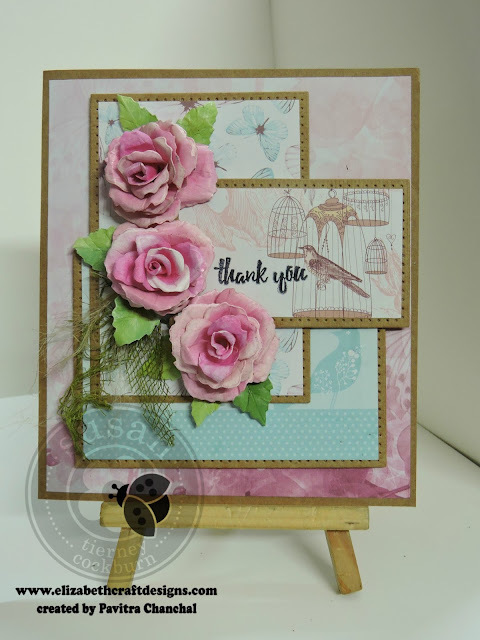 i am back with another card featuring dies from Susan's Garden and this time i have gorgeous roses for you. 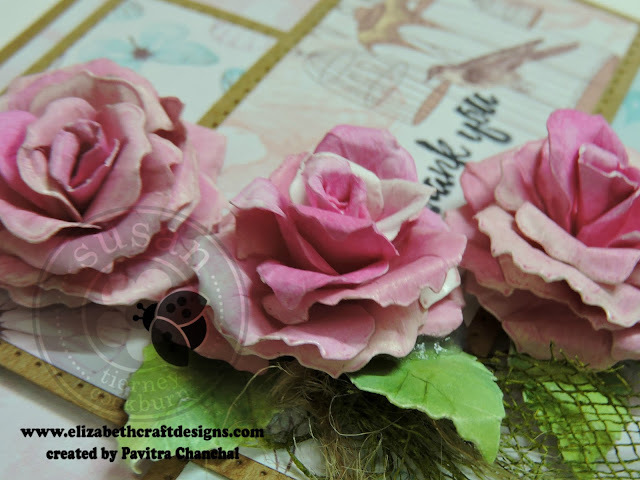 Rose are one of the most favorite flowers and they comes in various colors , for today i choose pink roses to adore my thank you card. I created a layered card by cutting card stock with Stitched Rectangles die, the finished card measures 5-1/2 x 6 . 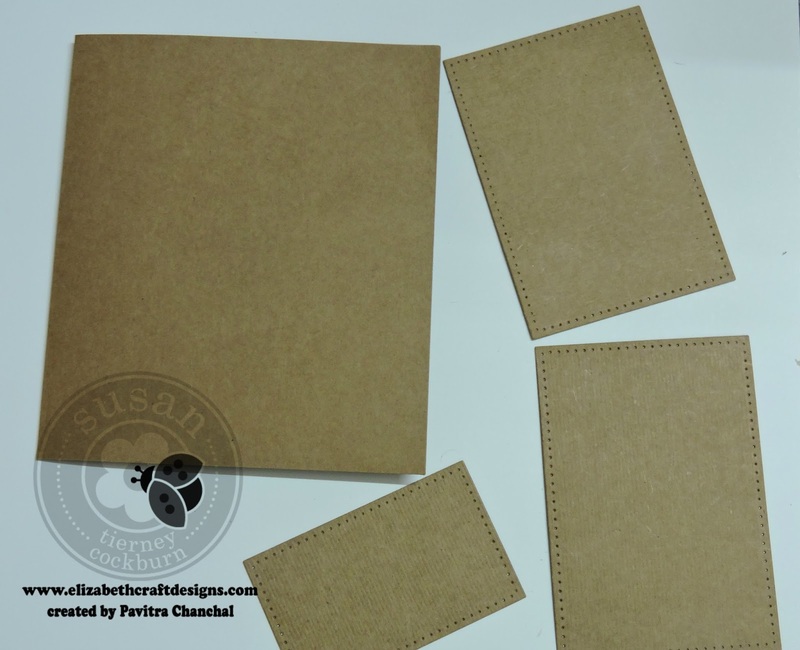 Cut kraft cardstock 11 x 6, score at 5-1/2 and fold. Die cut kraft cardstock with Stitched Rectangle dies using the smallest rectangle die once and second smallest die twice. 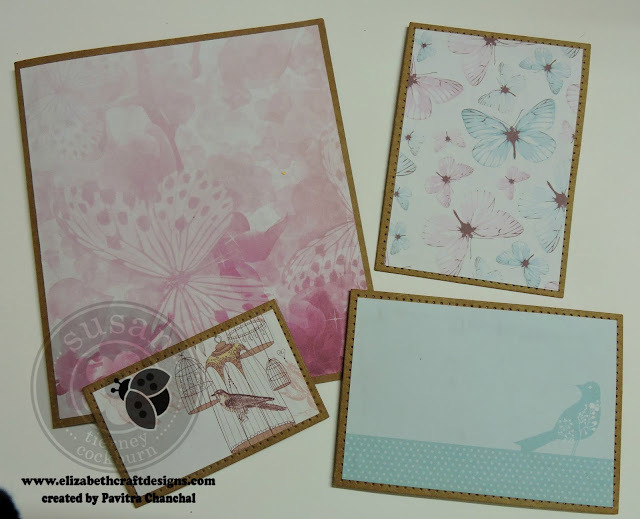 Mat the cut outs with pattern paper leaving 1/4 boarder all around. 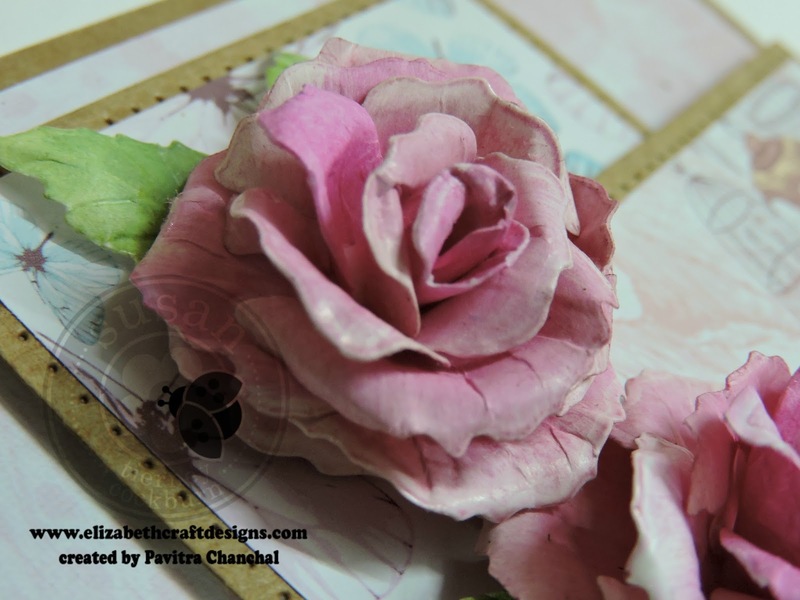 Do the placement as shown with 3d foam tape. 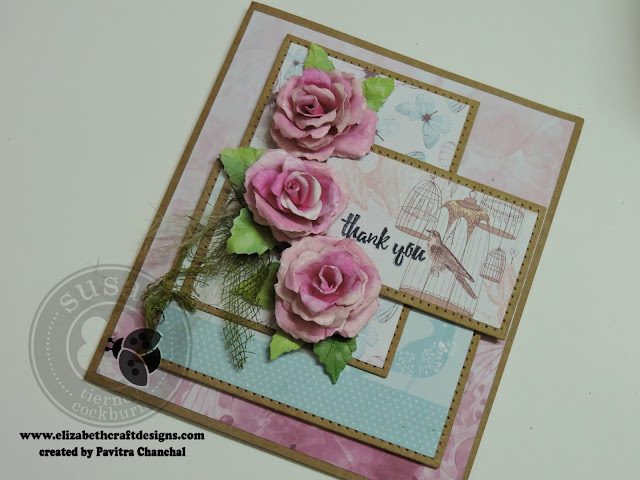 Die cut Soft Finish Cardstock with GN Rose 3 die and ink the petals and leaves with distress inks. For shaping the flowers use Susan's Tools , Embossing Pad and Leaf Pad. 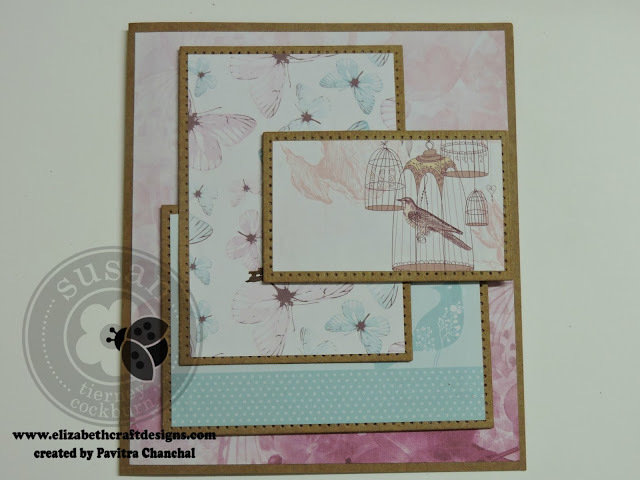 Do the final placement as shown and finish of by stamping thank you sentiment from General Sentiment - clear stamp set. 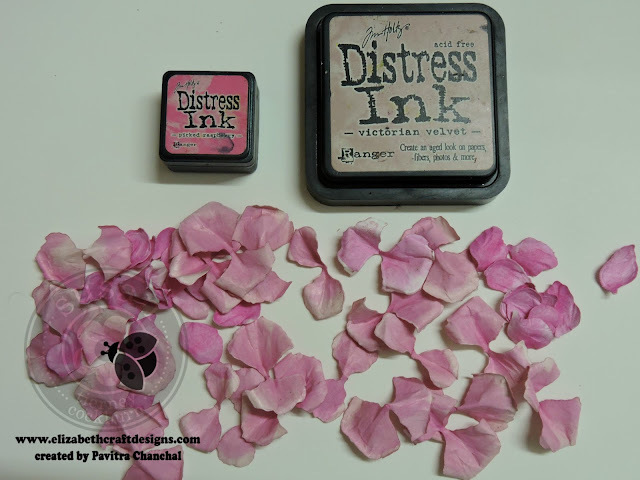 Cut a thin strip of gauge colored with distress ink peeled paint and place it underneath rose along with a piece of twine. Some more closeup of flowers. Thank you so much ,i hope you like my card and will make one of yours.For all your craft needs don't forget to visit Elizabeth Craft Designs Store. 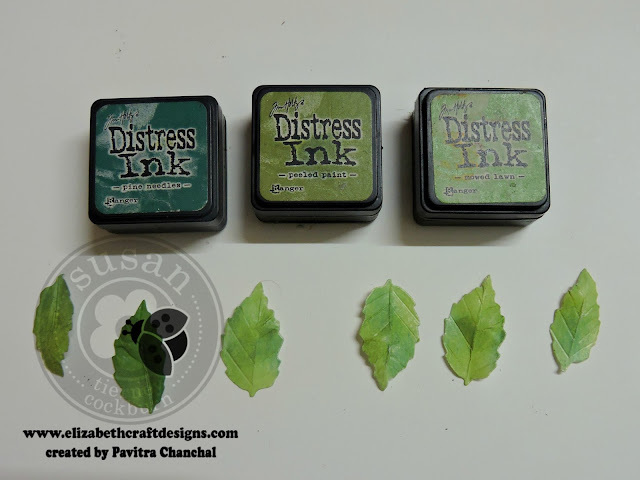 General Sentiment - clear stamp set. Gorgeous, the roses are so life like! !